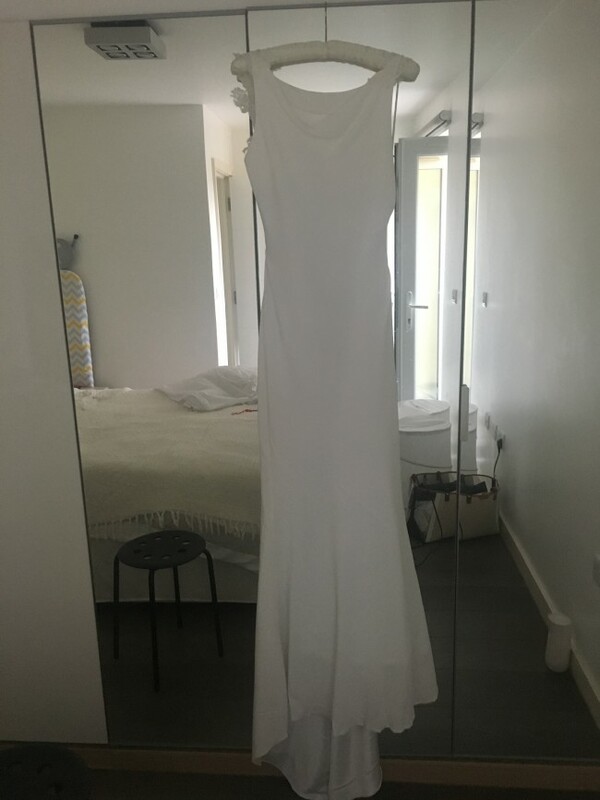 A beautiful sample dress which has not been worn. Minor alterations made to fit my neckline. A lovely soft silk crepe dress which fits like a dream and the back is gorgeous. I was going to add some lace to the back but have left the original on it.